This reception happened right after the 4th of July! We celebrated with Amy and Rob at the Bravarian Inn Lodge of Frankenmuth Michigan. We were actually referred to the bride and groom by their Best Man Wayne Kinney of Rockout Entertainment. 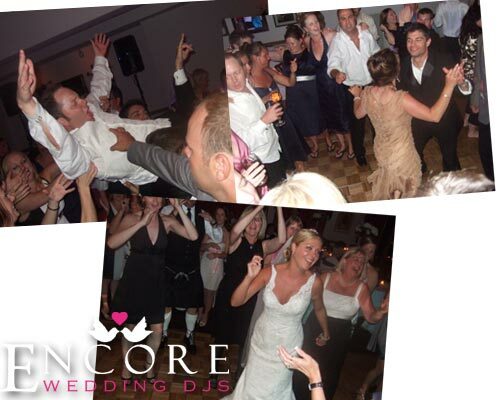 He owns a DJ company here in Michigan and he wanted to make sure that his friends got the best for their wedding. What was really cool, is that they had a harpist play during dinner and cocktail portions. When the guests entered, there was also a solo bag piper playing. A couple of other things to notice, was that their custom ice sculptor was stunning and the Bavarian Inn Lodge has the bomb breaded Chicken. For those of you who are wondering, it is a family recipe made from scratch from the owners mother who is 90 years young! I got some footage of the wedding reception and their packed dance floor the whole night. You can view a clip on the right in our company demo (it is @ 2:09). They requested awesome songs! Click on the player on the right to get a glimpse of what their night was like. Thanks Wayne, and once again a huge congratulations to Rob and Amy Peters.